Among the generals who did not cover themselves with glory was Lew Wallace, a short, pale man with a dark beard, flowing mustache, and smouldering gaze that betokened a latent romanticism. He had worked as a lawyer in Indiana and served in the state legislature; in after years he would distinguish himself as the author of Ben-Hur. As the battle unfolded at Shiloh, Grant sent word to Wallace at around 11 a.m. to bring his veteran division from Crump’s Landing to Pittsburg Landing along a road by the Tennessee River. Since the distance to be covered was no more than six miles, Grant expected these critical reinforcements to arrive by noon or 1 p.m., shoring up forces on his right who had withstood blistering fire. After an agonizing wait, Wallace never arrived. He marched his men on a long, circuitous route away from Pittsburg Landing and failed to join the main army until nightfall, when the day’s fighting had ended. A furious Grant thought him insubordinate and believed that by circling around with his army, Wallace had hoped to land on the enemy’s rear and emerge with heroic splendor. Like Grant, Rawlins was indignant, arguing that there was no excuse for a division commander to “march and countermarch all day within sound of a furious battle, less than five miles away, without getting into it.” Enraged at such accusations, Wallace spent the rest of his life reliving that day and trying to wipe away the Shiloh stigma from his name. He claimed he had been told by Captain Algernon Baxter to “effect a junction with the right of the army” and had strictly followed orders. For years, Wallace would ply Grant with argumentative letters, hoping to persuade him he had acted honorably. Grant thought Lew Wallace typical of politically well-connected generals who had risen to excessively high positions. This problem bedeviled the North, where there were deep divisions in the electorate, forcing Lincoln to curry favor with opposition politicians by plucking generals from their ranks. 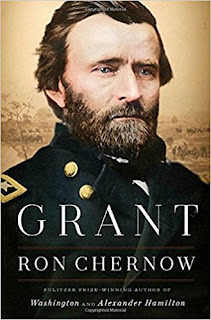 Whatever the truth of what happened, there is little doubt that the timely arrival of Wallace’s division might have allowed Grant to reverse the tide of battle and even switch into an offensive mode on Shiloh’s first day.